Kathy and I went for a walk last night. 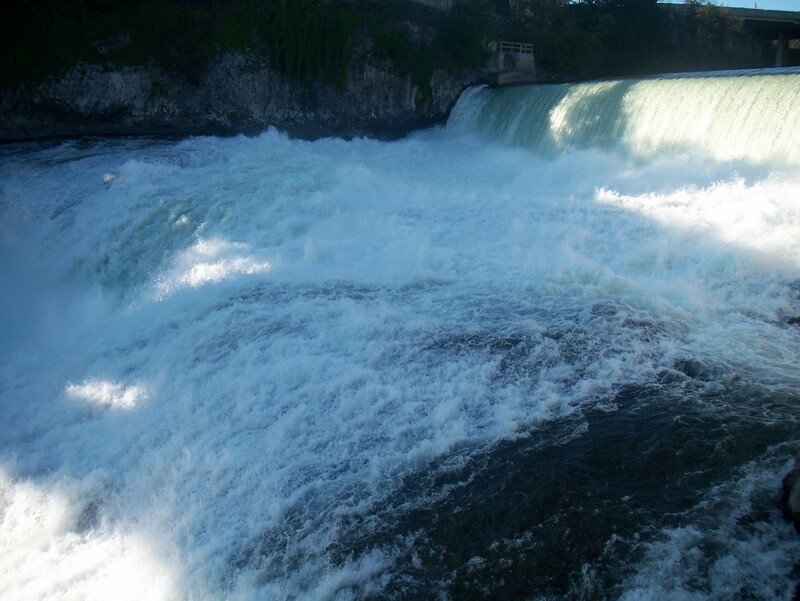 We walked from the Gonzaga campus to the base of the lower falls. It is about a 5 mile round trip (8 km for us Canadians). There are times you forget you are in a metropolitan area, with over 600, 000 inhabitants in greater Spokane, as you walk the paths. Part of the walk goes through Riverfront Park which was where Expo ’74 was held. I traveled with friends from Nelson BC in September 1974 to visit Spokane. We listened to the second Soviet-Canadian Super Series between the World Hockey Association team with Bobby Hull and Gordie Howe on the way back to Nelson. 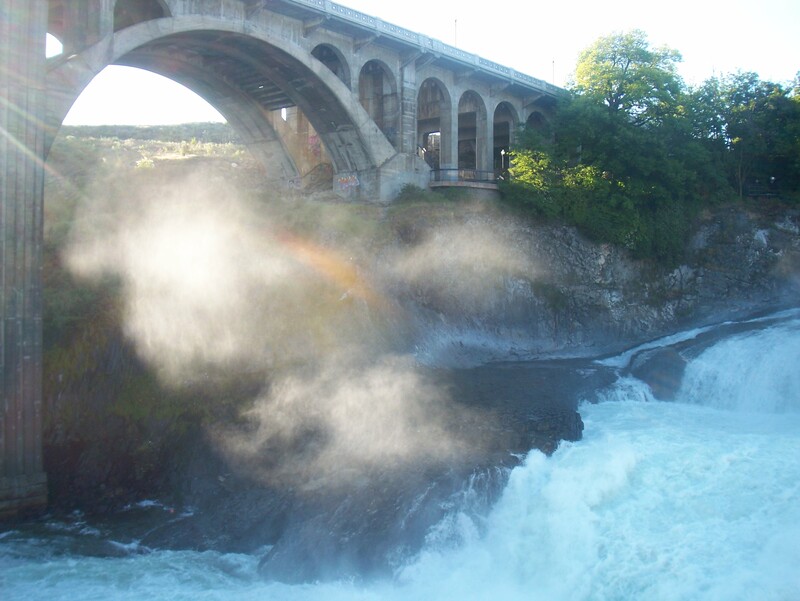 Spokane is a refuge for me bringing back some great memories. 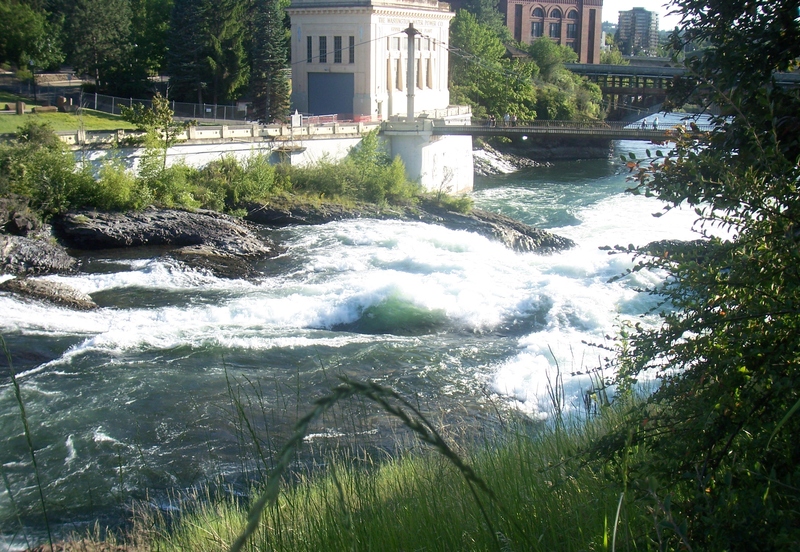 Spokane is home to the Spokane First Nation a member of the Salish people. Later, when Europeans began to settle the area, it was a Hudson’s Bay Trading Post. The American government bought much of what is now Washington from the Hudson’s Bay Company. 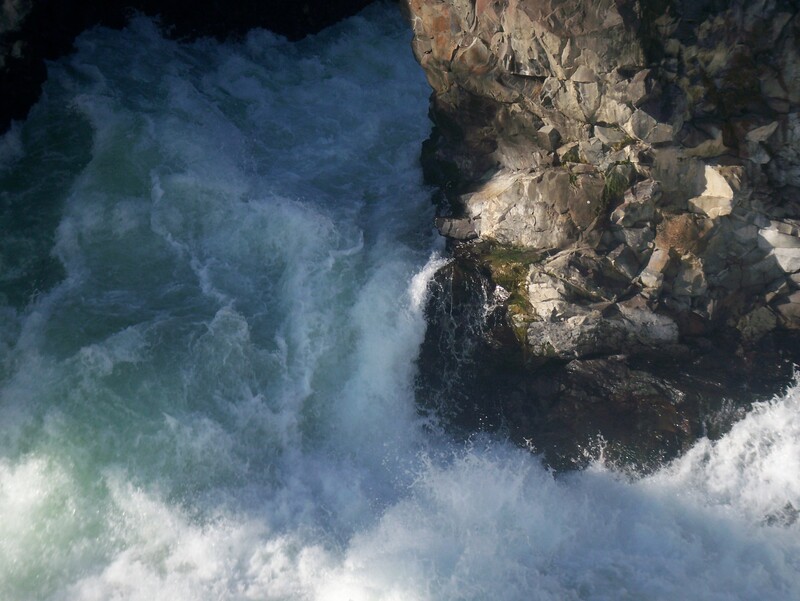 In Salish, the falls are Aλxetk meaning fast or swift water. 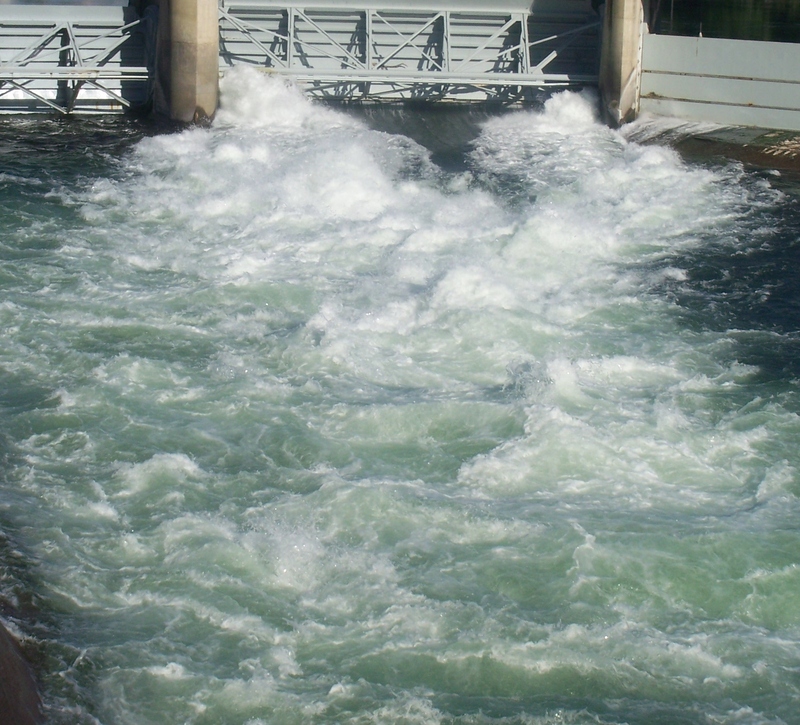 These flood gates are above the upper falls. The river is running high with run off from the mountains and recent heavy rain. We only walked a little ways from the flood gates and the water was beginning to run faster and we arrived at the top of the upper falls. 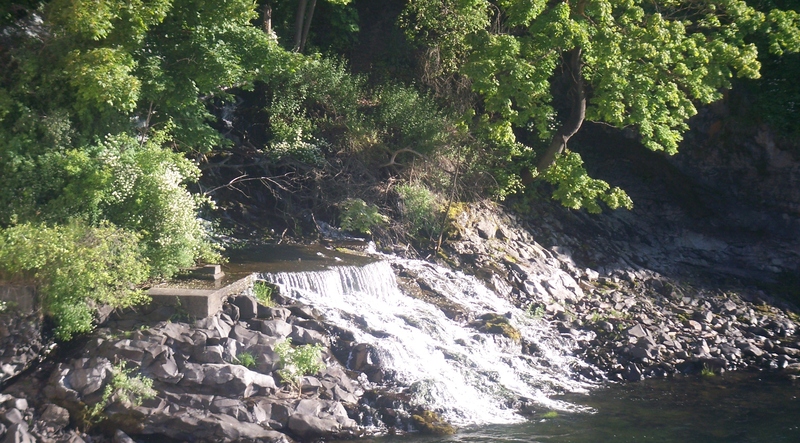 These are the upper falls. You can see one of the older buildings owned by the Washington Water Power Company and two bridges that crosses the river at various places. Some bridges are limited to pedestrian and bike traffic while others carry vehicles as well. 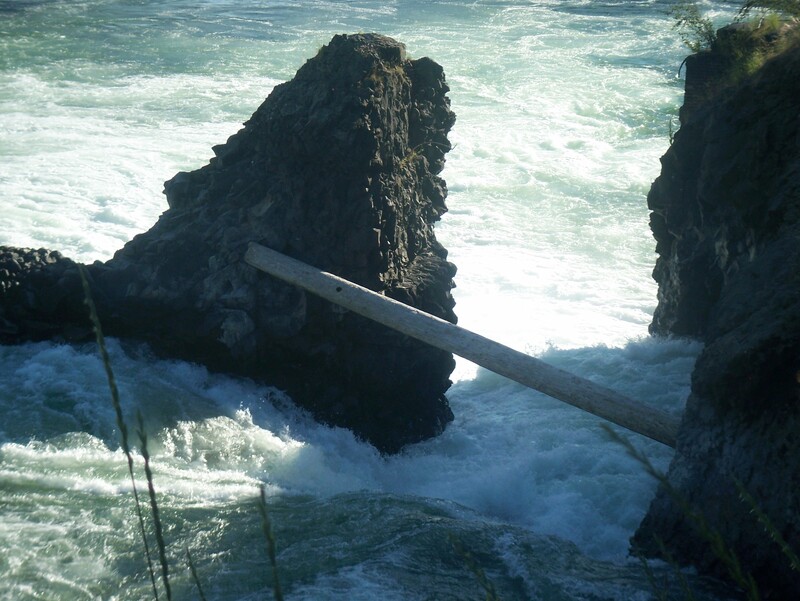 The power of the river was demonstrated with the log wedged solidly into place between two rocks at the base of the plummeting water. 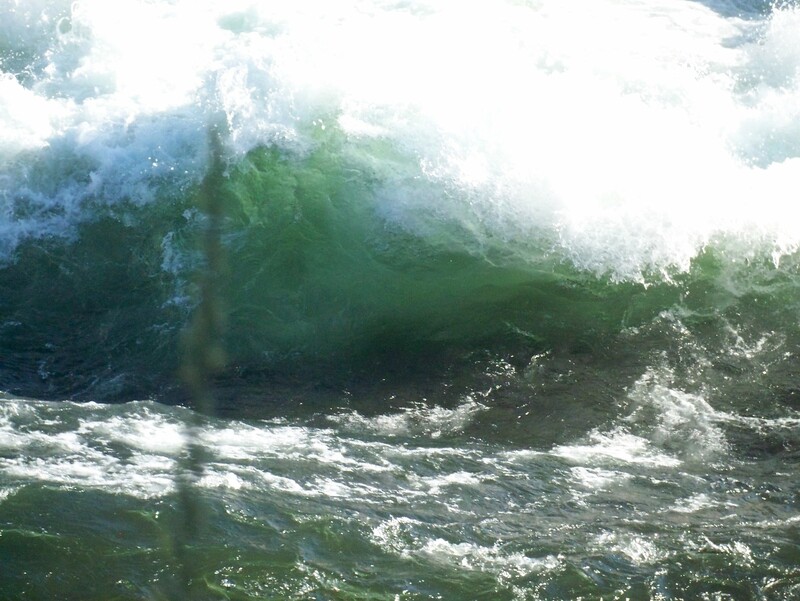 Kathy captured this moment of colour as the water swirled around rocks and back on itself in the form of a green wave. You can see some of the fury of the water and a calmer look in the water. 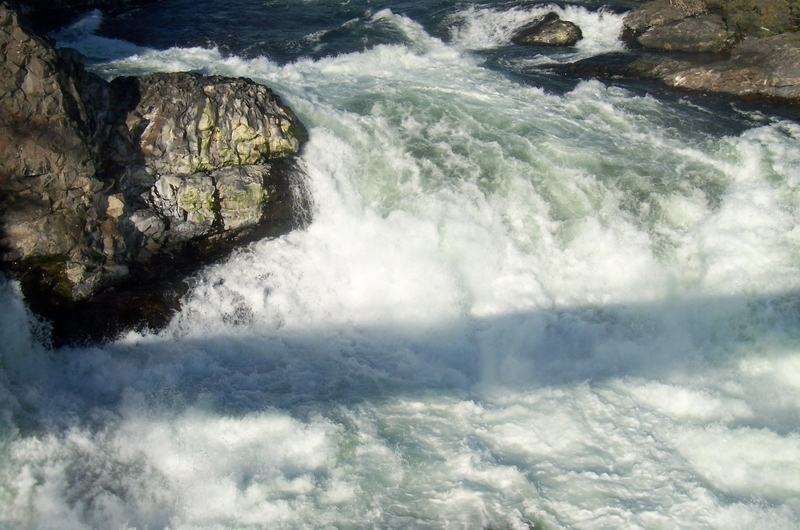 Here is a view from below the upper falls. 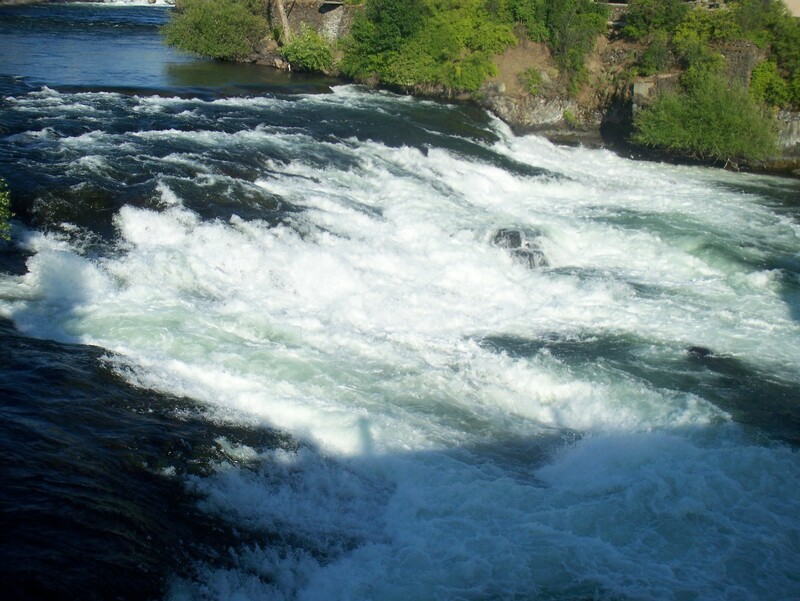 The upper falls split and go around an island of sorts, come back together, and form the lower falls. In the midst of the power and fury of nature, is a sense of calmness. This is the base of a small stream that runs through Riverfront Park and a Zen garden in the park. It adds a sense of contrast to the walk. On one side, nature with its sound, might, and power and on the other side, the quiet of Zen influences. to the falls. This is the other side of the island I mentioned above. And finally, we reached the lower falls. It is hard to do them justice. This only captures a small element of their power. 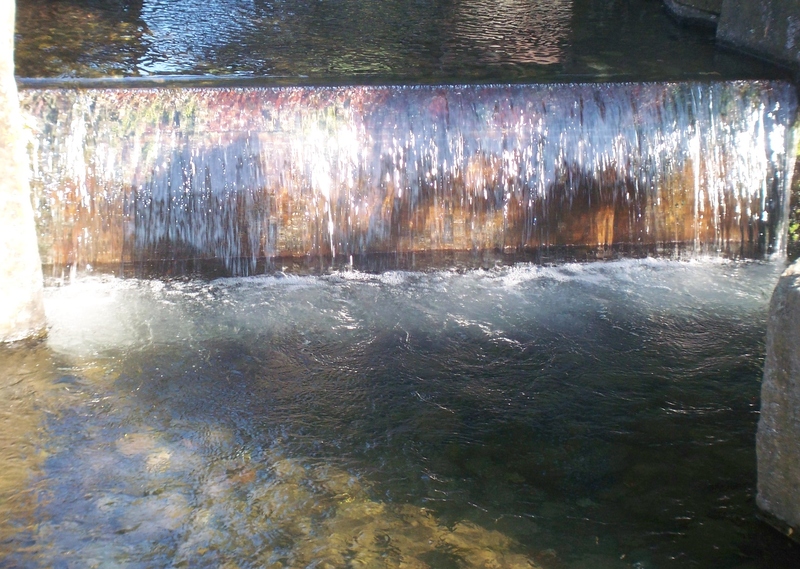 Here is a mixture of light, shadows, the falls, and the mist rising up from them under the bridge and revealing a small rainbow. Here I am striking a pirate’s pose and looking over at Willie Willy’s Rock which I want to attack. I have allies and he is pondering with me. 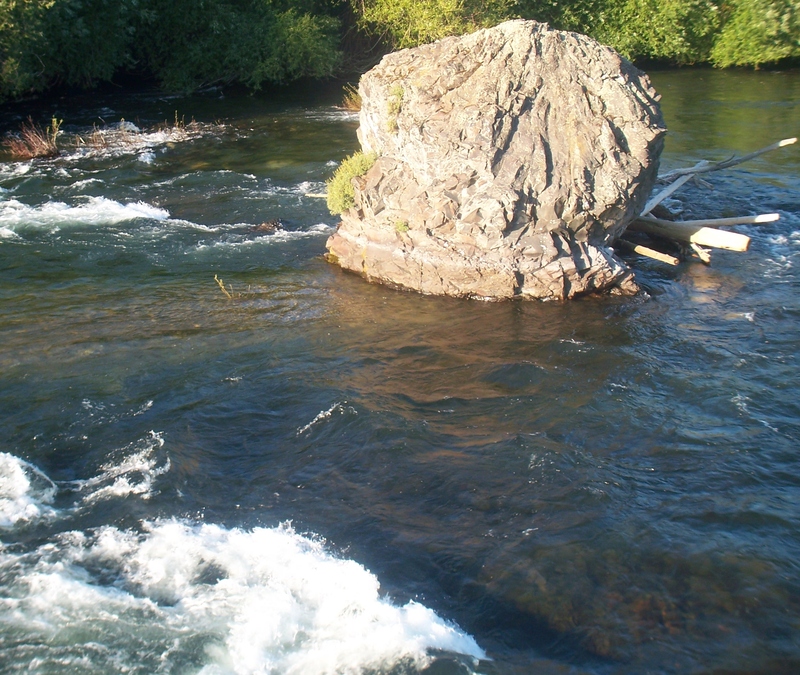 There it is: Willy Willie’s Rock. Any pirate would want that! Right? 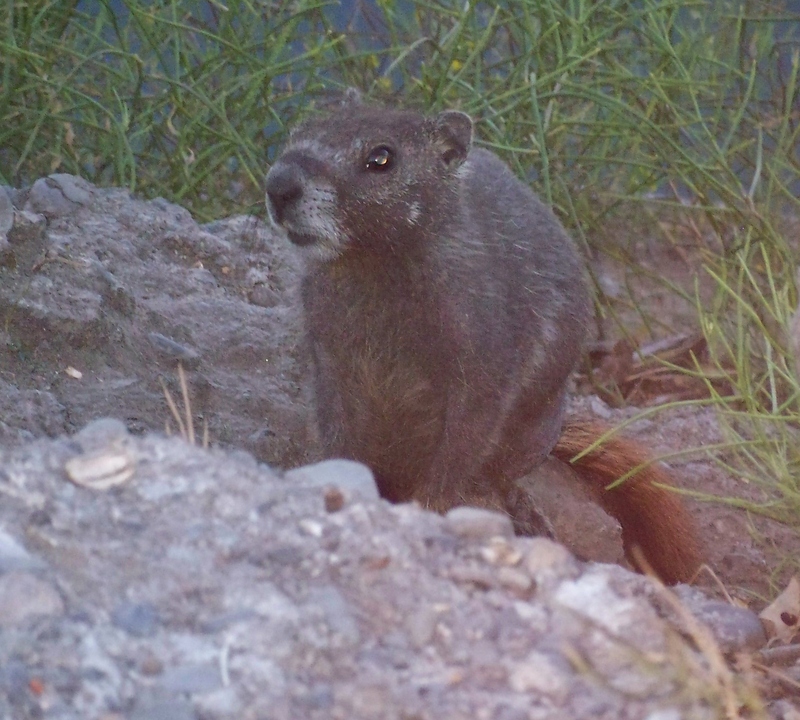 We met the ground squirrel on our way back. 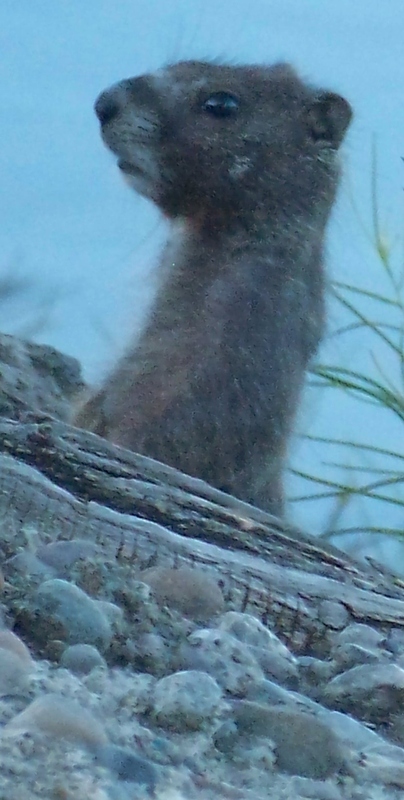 He was very cooperative and posed for pictures. 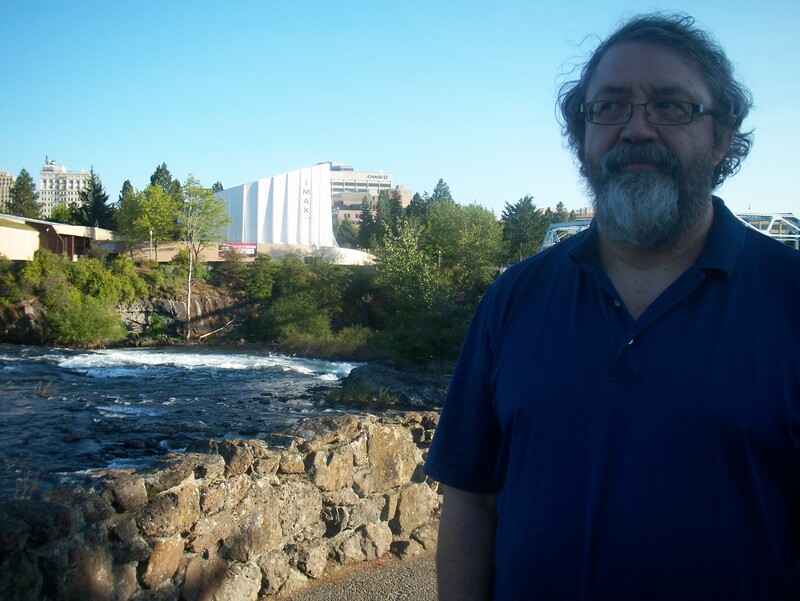 Posted in Nature in All Its Glory, Photography and tagged gordie howe, nature, pirates, Spokane, Spokane Falls, teacher as transformer, washington water power, world hockey association. Bookmark the permalink.